Once again I decided to shop at Caves a Bulles. I had a different shop assistant this time but he was just as helpful and I walked out with 12 different beers to the ones I had in my travels through France so far. We decided to stop and have lunch on the walk back to our hotel. Over the course of lunch I had a regular Kronenbourg, which was better than 1664 but still a little too sweet. I followed it up with a Pelforth Brune a beer which I have a well documented adoration of. It's a nice brown ale that I can't quite explain why I love, maybe it's that it's not a bog standard lager? We also brought a couple of things with us from Belgium that we hadn't managed to finish there. Bush Ambree was one of these. It tasted quite nice at first but did begin to seem a little hot (ABV-wise). A quick check of the bottle later and I realized why, it's 12%! For 12% the ABV is definitely well hidden... After this I knocked off a Delirium Tremens, which should speak for itself - if you haven't tried it, do! After a morning at the Palace of Versailles Lizzie and I thought it best to get a few beers in. The first was the Jurassic Creation Ephemere Huell Melon Summer Beer. It was a lovely light beer with excellent Melon flavour. I would love to get more of these - it's a great hot weather beer! I really enjoyed the first Brasserie de la Valle du Giffre beer I had in St Paul de Vence, so I thought why not try another of their IPA's. 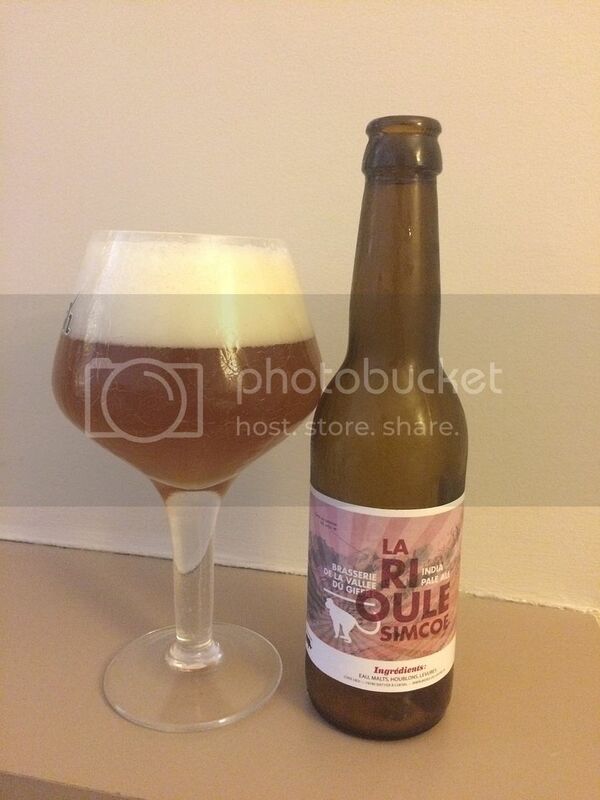 The lucky beer was the La Rioule Simcoe, which I was assuming was a Simcoe Single Hop IPA. It was a well balanced IPA with a good citrus characteristics and bitterness. This is another excellent beer that I really enjoyed. The French have come good! The Brasserie de la Goutte d'Or Why Here? is a Black IPA that I enjoyed, but certainly wasn't outstanding. It was predominantly chocolatey, with some roast and hops. La Maline from Brasserie Thiriez, this wasn't what I was expecting (a Belgian Strong Dark) and was far sweeter, almost Porter-like. In the morning we had enough time before staking out our spots for the Tour de France foooor a beer and some lunch. I had an Edelweiss, an Austrian Hefeweizen, which was potentially an odd choice... After a long walk in the pouring rain, esky in hand, we settled on our spot and I cracked a La Levalloise. It's an American Pale Ale and a pretty good one at that. Judging from the two I've had, I'd highly recommend trying beers from Les Brasseurs du Grand Paris. 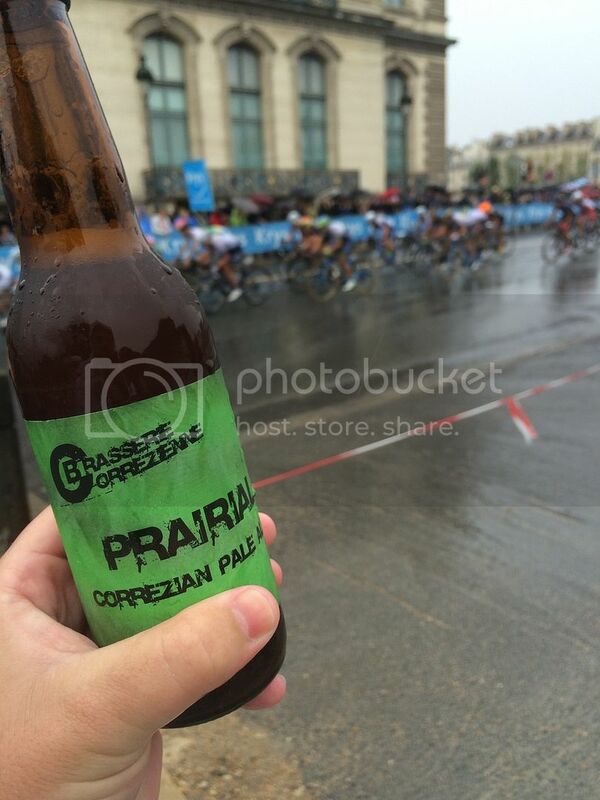 I had bought my beers with warmer temperatures in mind, who'd have thought it would be 14 degrees and pouring with rain in July in Paris! Brasserie de la Valle du Giffre provided me with another beer, this was their Blanch Hull Melon, clearly Melon wheat beers are a thing in France... I can see why though, this was light and refreshing with good wheat and melon flavours. I'd love to try it in warmer weather. Another Jurassic beer I had was their Indica IPA. This was probably the best IPA I had in France with great pine and grapefruit flavours combined with good bitterness. Sour Suzy from Lervig was my last craft option at the Tour de France, by this stage I was almost swimming it was so wet! This was only lightly sour, which was slightly disappointing - but probably better for the situation. I finished off the Tour with a few cans of 1664, which didn't taste awful - maybe I'd had a few too many? This didn't stop me and Lizzie knocking off the last two beers that wouldn't fit in our suitcases to come home for dinner. The La Debauche (what a name!) India Stout, which was a wonderful mix of hops and roast. It was distinctly more "stouty" than a Black IPA. We finished off the holiday with something very special - Struise's Black Albert. This stout is rightly regarded as one of the worlds best and if you have any way to get your hands on it I would highly recommend you do it! What a way to end the holiday, the Black Albert was simply sensational, while I think I found some of the best craft beer France has to offer. Now, I intend to get the monster Untappd catchup post up in the next little while. Then we'll get that surprise review up that I've been promising for a while before resuming service as usual. 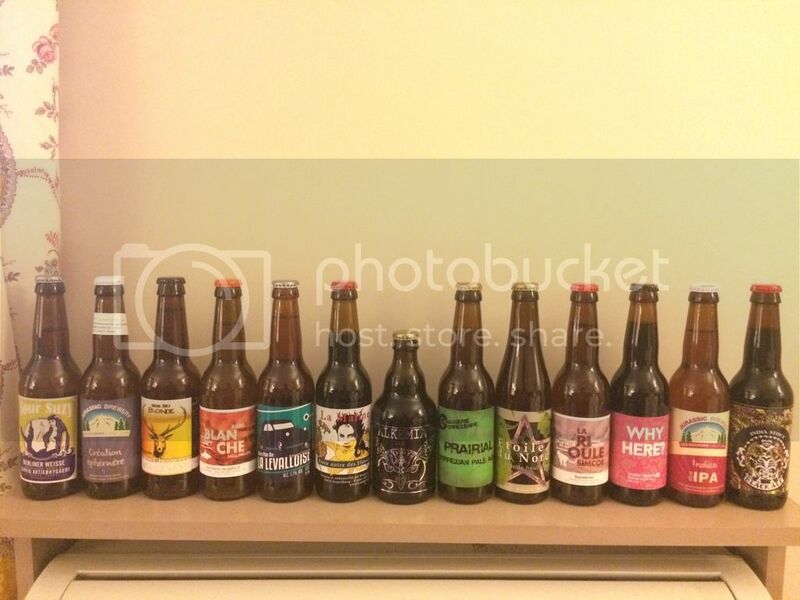 Thanks for reading about the beer side of my journey throughout Europe, hope you all enjoyed it!